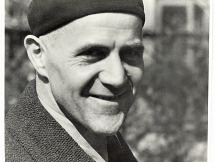 Portrait of Adolf Meyer, 1929. Adolf Meyer (Mechernich, 17 June 1881 - Baltrum, 14 July 1929) was a German architect. 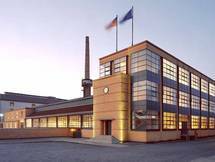 A student and employee of Peter Behrens, Meyer became the office manager of Walter Gropius practice around 1915. This collaboration, which lasted until 1914, resulted in a number of important 20th century buildings, such as the Fagus-Werk Karl Benscheidt in Alfeld an der Leine of 1910 and an office building and factory for the Deutscher Werkbund (German Work Federation) exhibition in Cologne in1914. When Gropius’s practice closed down, Meyer became office manager for the steel construction company Breest & Co. in Berlin. In 1919, Walter Gropius brought Adolf Meyer to the Bauhaus Weimar as an assistant for the architecture department. Here, he directed Gropius’s private architecture office and taught technical drawing and construction from 1920 to 1925. Together with Walter March, he was the site manager for the Haus Am Horn project. In 1924, he was responsible for the compilation and typographic development of the book "A Prototype House", published by the Bauhaus Weimar as the third volume in the series of Bauhaus Books. After the closure of the Bauhaus Weimar on 1st April 1925, Meyer stayed on in Weimar as a freelance architect. In 1926, he was represented in the exhibition Neue Baukunst (new architecture) held by the Kunstverein Jena. He also designed a number of buildings. These include the Gildehall housing estate in Neuruppin in 1925–1926 and the Zeiss Planetarium in Jena in 1925. On the recommendation of Walter Gropius, Meyer was appointed to the Board of Public Works in Frankfurt am Main in 1926 and was head of construction consulting in its building department. At the same time, he was head of structural engineering at the Frankfurter Kunstschule. During his period in office, the city built the coking plant at Gaswerk Ost (gasworks east) in 1927 and the Prüfamt (testing office) in 1929 as well as the workshops, depot and warehouse for the municipal electricity works. 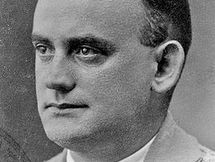 Adolf Mayer drowned 1929 in the North Sea at Baltrum.